What's your favorite book or series of all time? As a reader, this is probably the hardest question someone could ask me. I have no problem listing out my favorite books. Even putting them in some sort of order by whittling them down to a Top 10 list wouldn't be too terribly difficult. But narrowing the list down to a single book or series? That's infinitely harder. Over the years many books have made it into my 'inner circle'. They haven't always stayed there, though. Like most readers, my tastes have changed as I’ve gotten older. Books I considered “the best” when I was a teenager or earlier no longer carry that distinction. That doesn’t mean those novels do not still have a place on my shelf. In fact, many of those books remain important to me if only because of the memories associated with them. I got my start with "Where The Wild Things Are". It’s not really a novel, I know, but this book and myself could not be separated when I was younger. I don’t even remember what it’s about, but I do remember carrying it around, reading it, and looking at the pictures many, many times. 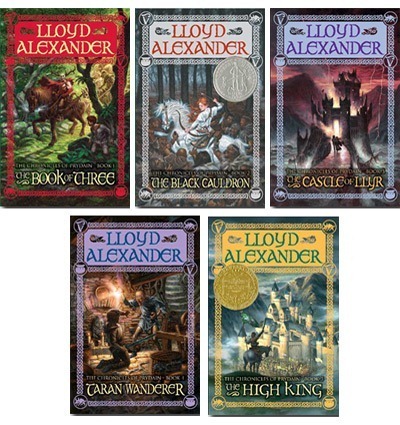 From there, I moved on to the Prydain Chronicles. Something about a cauldron that could turn the living into the undead hooked me. In fact, I re-read the series not too long ago. While the novels were meant for a younger audience, I still found them enjoyable. I have little doubt why these books, which I’d have to say were the first fantasy novels I’d ever read, inspired me to keep going in the genre. But for all their influence, they are not my favorite. Amongst my favorites because of the nostalgia factor, sure. But not at the top of the list. I also spent a fair amount of time reading most of the various Shannara books. There's something about those three Shannara books that they'll always have a place on my bookshelf. But where I know I read The Sword of Shannara at least a half a dozen times if not more, I wouldn't count it or its series as my favorite. Then there's the Lord of the Rings, which oddly enough I read only after I'd read the first Shannara trilogy. Go figure. While these novels are absolutely seminal to so much that came after them (the Shannara series included, especially considering The Sword of Shannara was written as a shameless homage to Tolkien's work), I wouldn't consider these my absolute favorite. They're certainly up there. But not at the very top. 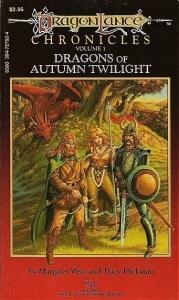 Then there's the Dragonlance novels. What can I say about these novels which hasn't been said already? Yes, they're full of clichéd characters, are horribly written (I tried re-reading them a couple of years ago but gave up), and probably a whole host of other unseemly things, but damn they were formative for me. Absolutely inspiring I'd say as well. But, again, not my favorite. About the same time I started reading Dragonlance I was also introduced to Conan. Now these books absolutely remain amongst my favorites of all time. While you can see some of the inconsistencies introduced when De Camp compiled the stories and finished those tales left undone by Howard, the series is still huge for me. Still, while I've read these books over and over and never tire of them, they aren't at the very top of my list. 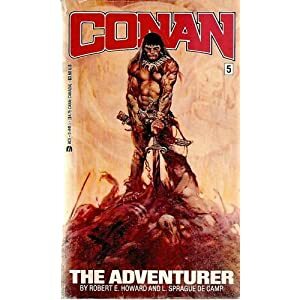 Even still, Conan led into many of Howard's other works, including Bran Mak Morn, Solomon Kane, and Kull. Further down that path I found Elric. The Elric series of novels is fantastic. Simply some of the best fantasy ever written, IMO. 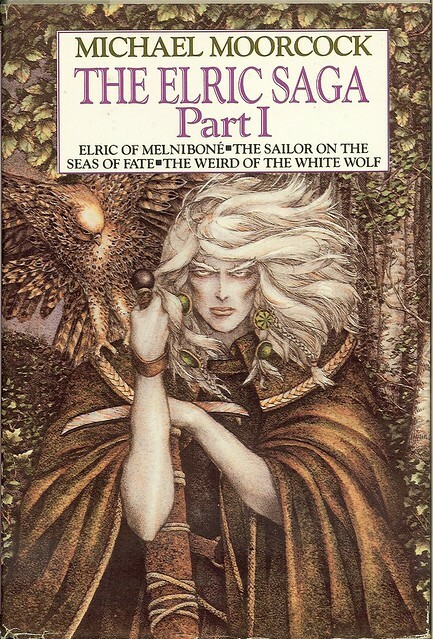 While I would put at least one of the Elric novels in my Top 10 or maybe even Top 5, there's one thing which keeps Elric from the top position. This is the fact that the character is so otherworldly and fantastic that I, as a simple human, cannot relate to him. Much like Conan, Elric is a character I admire (or pity), but I could never imagine myself in their place. This inaccessibility is a hurdle I can't get over. I could go on. Like anyone who's been reading voraciously all of their lives the number of books I've read is up in the stratosphere somewhere. So let me get to it. Answering the question of this post isn't easy, but, for me it's doable. My favorite series (I could never select just one book) is the Farseer Trilogy by Robin Hobb. Full of rich characters, a deep history, wonderful worldbuilding, and some of the finest storytelling I've ever read, this series of novels has stayed with me more so than any other because of all of those things but also because of the ending, which I won't give away but which I will say is something that I still think about now and again. In my mind, it’s the best, worst, most bittersweet ending I’d ever read. That in itself puts it at the absolute top of my list of favorites. So, what's your all-time favorite?